Still reeling from the wild momentum that drove our 2018 User Conference, we’ve returned to Tenstreet high on the fumes of amazing client conversations, delectable dinners, and enthralling entertainment that only Las Vegas can offer. This year’s conference was nothing short of spectacular, and what we feel was a delightful step up at an incredible venue. With double the number of attendees and vendors, and the addition of one-on-one meetings and an Xpress and Xchange boot camp, our user conference included much-coveted quality time with our clients. And if last year taught us anything, we know this is only the beginning. To those whom we haven’t yet had the chance to speak with personally, we look forward to having a conversation with you soon. If you were there with us, we extend our most heartfelt appreciation to you for helping to make our conference the success it was. If you weren’t able to make it, we look forward to seeing you in 2019 – we’re already making plans and have gained a lot of valuable feedback from our clients that will help us make next year even better. Look for our 2019 registration page to go live early this summer. So, what generated the most excitement? There was a lot of excitement over our new calendar view, the elapsed time widget, and substantial improvements made to our Origins and Job Store services. But our biggest reveal by far pertained to Safety Management. With the release of our new and improved line of safety services, you can finally climb out from under the piles of paper you’ve been nesting in and find the freedom you seek. What can you expect? A lot more free time, and an elusive view of the top of your desk. Tenstreet’s new comprehensive Safety Management services uses an integrated control-center rich in automation and advanced reporting to bring you a comprehensive set of safety services that helps you capture, manage, analyze, and store all your safety-related data. With added conveniences to existing services and new amenities as well, we bring everything together to make safety a cinch. If there’s one thing we are at Tenstreet, it’s flexible. You can think of Safety Management as a three-piece suit: you’re a beacon of comprehensive style when you wear all the pieces together, but like any fashionista knows, each garment is also perfectly capable of standing on its own (well, when paired with other Xpress services, of course). We’ve spruced up our existing DQF jacket and have greatly simplified the Annual MVR process. Now you can send a digital Certification of Violations to your drivers, order MVRs in Bulk based on custom filters (e.g. 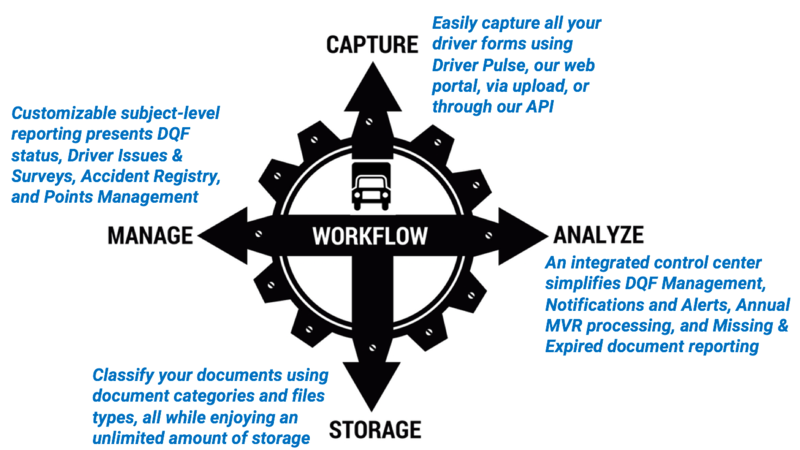 Anniversary Date), and gain access to a new Annual MVR report that allows you to see where in the process each of your drivers are, and which documents still need to be reviewed and countersigned. Our new DQF control center also allows you to configure your missing/expired documents alerts to anybody in your company (including drivers), and includes a Document Uploader service to help you capture required driver CDLs. This piece adorns you with digital Accident and Incident forms to complete when your driver gets into a pinch. The forms use standard and customizable workflow to streamline data to an Accident Registry report – which gives you a high-level, cumulative view of all your drivers’ accidents so they don’t stay hidden in your documents. This garment also comes with a Points Management tool that allows you to assign points to accidents and incidents, and uses workflow to handle aging and set thresholds (which display green, yellow, and red lights to alert you when drivers are nearing each limit). Driver Management can even be customized to automatically send video trainings and quizzes out should a driver need to repeat a class, after which points can then be automatically deducted from his record once completed. One to represent each leg, these two engagement-focused bits help carriers stay in touch with their drivers to keep them happy. Issues and Surveys offers drivers an easy, automated way to report issues and complete satisfaction surveys (think: retention), while Driver Engagement can be used to engage drivers at any point in the hiring process. Both use event-based triggers (status or tag change, completion of an IntelliApp, etc) and automated workflow to send form requests, video trainings and quizzes, and texts or Pulse messages to ensure drivers stay focused on your company, rather than that of a competitor. A lot of times the responsibility of retention will fall on Safety personnel, and when that happens, we’ve got you covered – pun intended. And coming soon, look for MVR Monitoring to serve as your cravat – the finishing touch that notifies you in real-time of new activities on your drivers’ MVRs, and pulls the entire outfit together. Want to learn more about our new Safety Management suit(e)? You’re in luck! Let us show you an easy way to capture, manage, analyze, and store all things Safety. Wonderful Article! 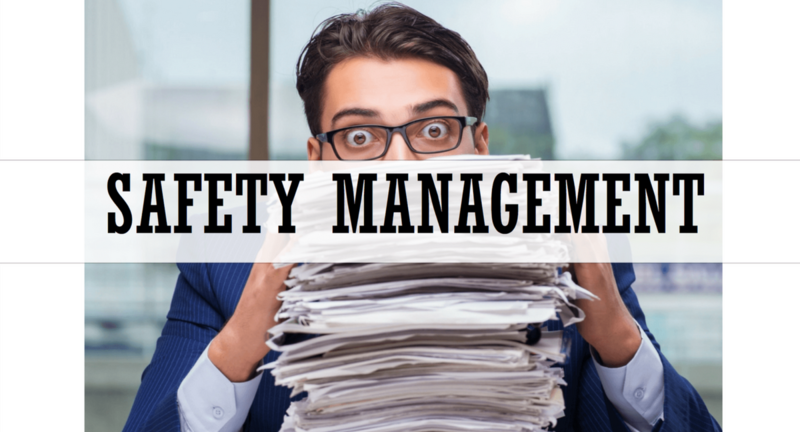 Your blog is helpful for many people who are looking for the Safety Management System. Waiting for more updates.